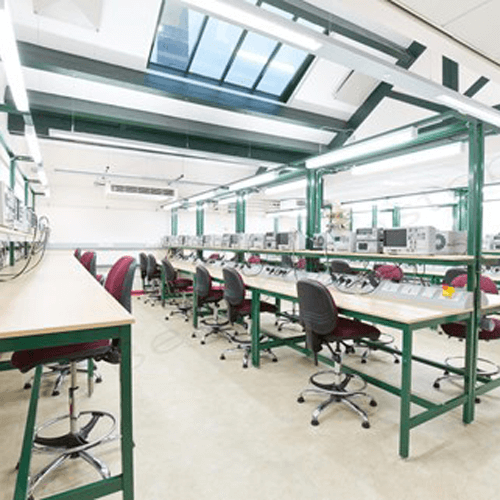 The specialist smoke ventilation system manufacturer have purchased a number of workbenches over several years. 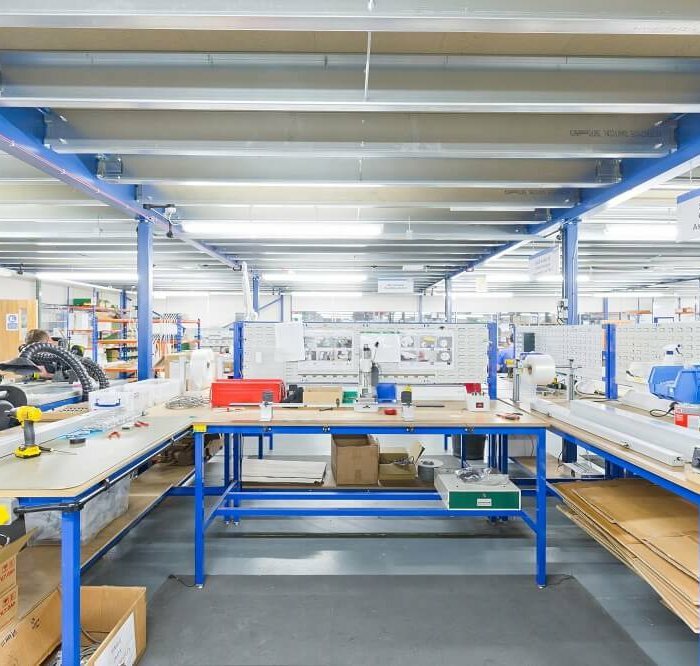 During 2017 the company expanded so required additional workbenches to accommodate the growth in production. BenchMaster liaised with the customer to establish sizes and the ancillary equipment (louvre panels & rails) required. 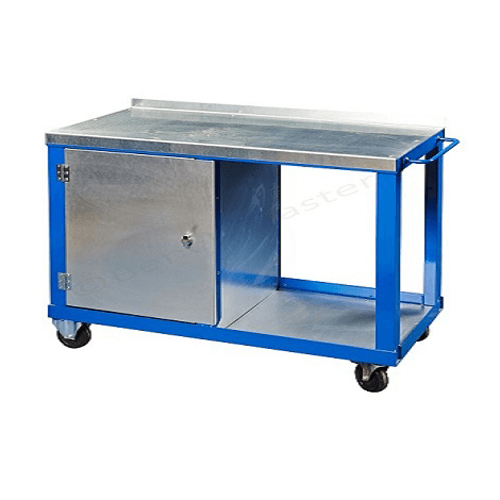 The manufacturer and BenchMaster agreed to increase the height of the workbenches to 950mm and 1000mm. The stretcher rail located underneath the workbenches was moved to the back in order for the operators to sit at the workbench. Trunking with twin sockets were included on some of the workbenches because power was required on some of the workbenches. 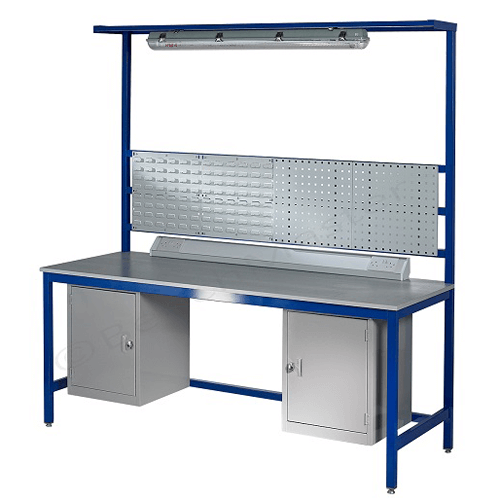 The manufacturer have invested in new workbenches and storage in order to support business expansion. 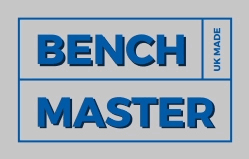 The ongoing relationship over the past few years helped BenchMaster win the contract. 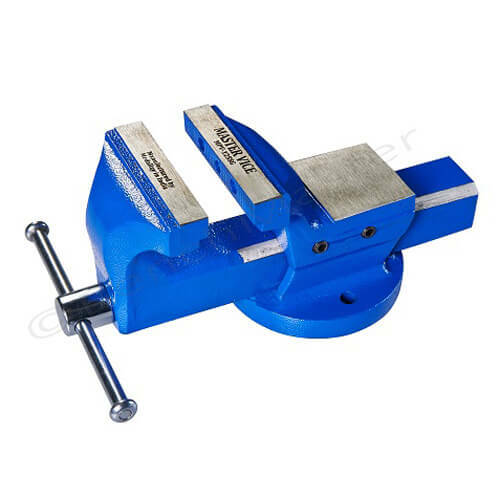 Albeit it at competitive prices. Overall the management of the manufacturer are happy with the workbenches and are now looking to order more for phase 2 of the expansion.